OPEN HOUSE MAY19 2019 4p.m.-7p.m. April 29th & 30th, May 1st - 3rd and May 6th-10th Range and Club House will be closed 8a.m.-4p.m. Due to a special event. Range will be open on weekends. Welcome to the Oxford Rod & Gun website. 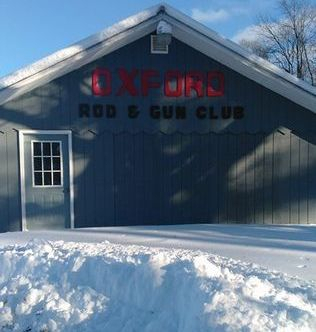 We are located in Oxford NY. Oxford R & G offers a Trap field, Rifle Range, 3D/Field/Indoor Archery, Cowboy Action Shooting, Black Powder Shooting and other sporting related events. Yearly memberships available for $35. Family members (immediate only!) for an additional $20. Club meetings are held the second Tuesday of every month at 7:00pm, all are welcome.